Thank you to all the customers who stopped by at the Richmond Fishing Expo in January. Sales of our new junebug color hellgrammite were fantastic. There will be a lot of happy fishermen soon. Nikko’s entire family of hellgrammites are now in stock!!! For all customers on backorder, you will receive your hellgrammites very, very soon. Thank you for your patience. We are confident that the wait will be worth it! New 1″ Super Little Crabs released! 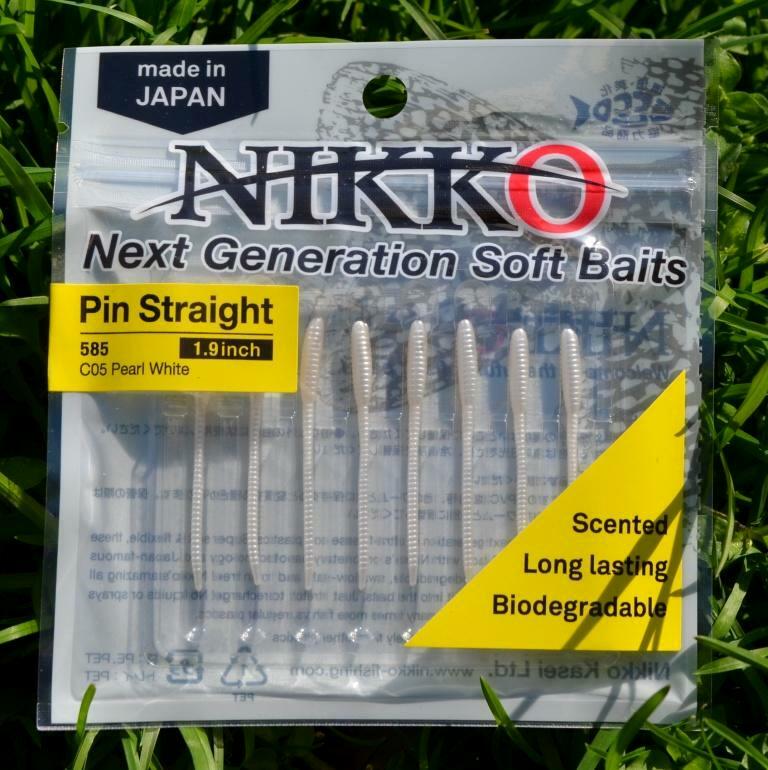 Nikko’s has just release an awesome little crab bait which is scented with real crab and made of Nikko’s original tough floating material to enable these little crabs to withstand repeated abuse from even the toughest saltwater fish. In testing, bluegill, crappie and bass also loved these baits. 4 crabs per pack. 5 colors. Nikko’s new Dappy Sandwoms 3.3″ have been released!!! Nikko’s new Dappy Sandworms 3.3″ take a proven, simple design and add a tapered tail with Nikko’s innovative Dappy material. These sandworms move with the slightest of ease to tantalize fish in both fresh and saltwater. Available in 6 colors. 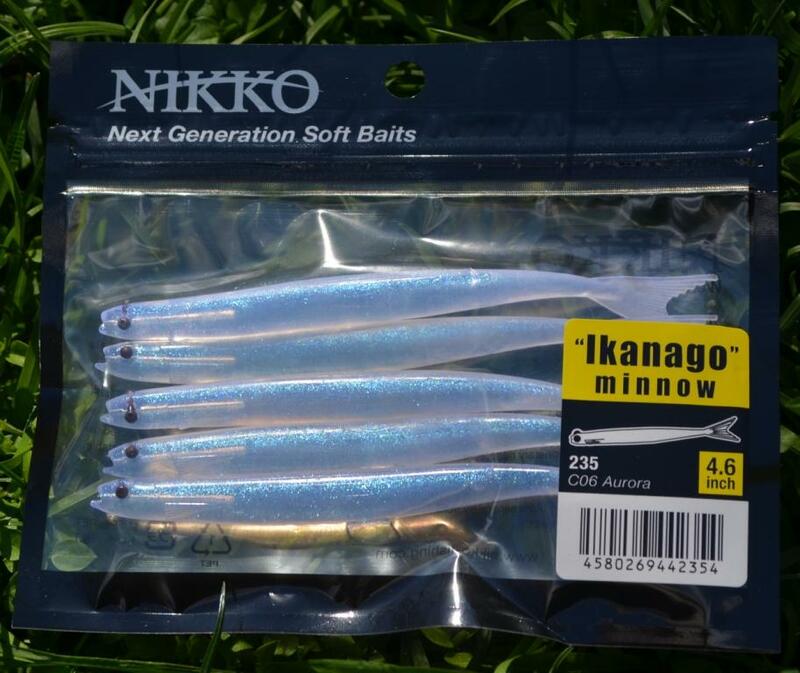 Nikko’s newest strip bait is a small triple-tail 1.8″ version great for a huge range of applications in both fresh and saltwater. Whether tied into a fly for tarpon, fished on small jig heads for crappie or added as trailers to spoons for walleye and bass, these baits produce. There’s nothing on the market quite like these! 5 colors available. 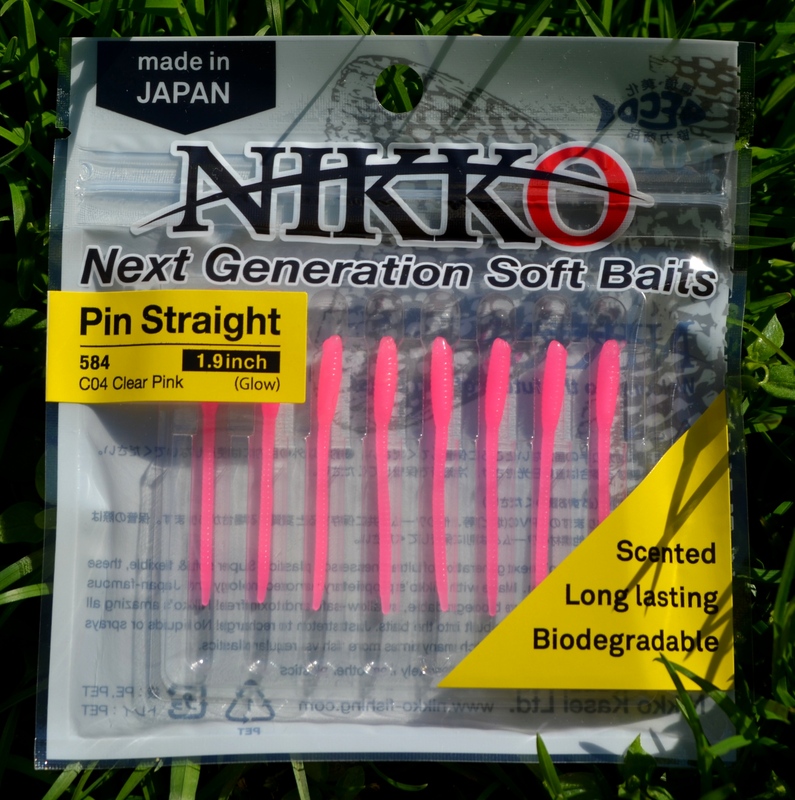 Nikko has just released a larger version of the innovative Dappy Super Scent Balls. At 10mm (0.4″) diameter, this larger version provide 2X the volume as the original series. The super scented core provides a burst of flavor when bit. Commonly used individually as attractants for other baits to increase effectiveness. Comes in 5 colors. 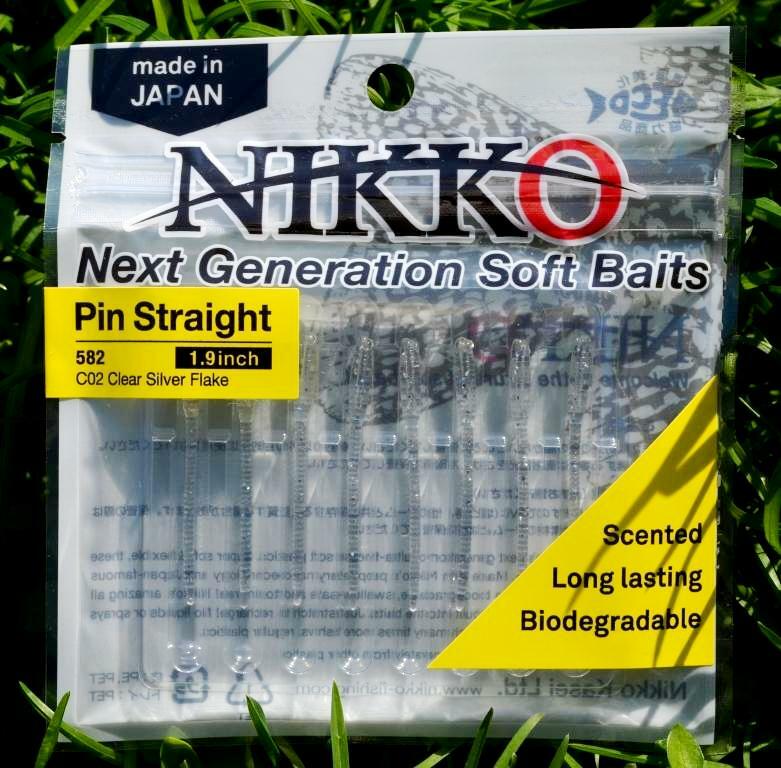 Try Nikko’s new innovative Pinch Worms, the first in the anticipated FlexWorm Series. Worms come in 12″ lengths. Just pinch off what you need. Just one pack in your pocket is all you need. Super soft and 10X scented over ordinary models. Floating and durable, these worms can be use in a myriad of ways. Available in 2 color and 2 sizes. Try some! Richmond Fishing Expo 2018 was a great success! Thanks to everyone who stopped by the Nikko booth at the Richmond Fishing Expo. 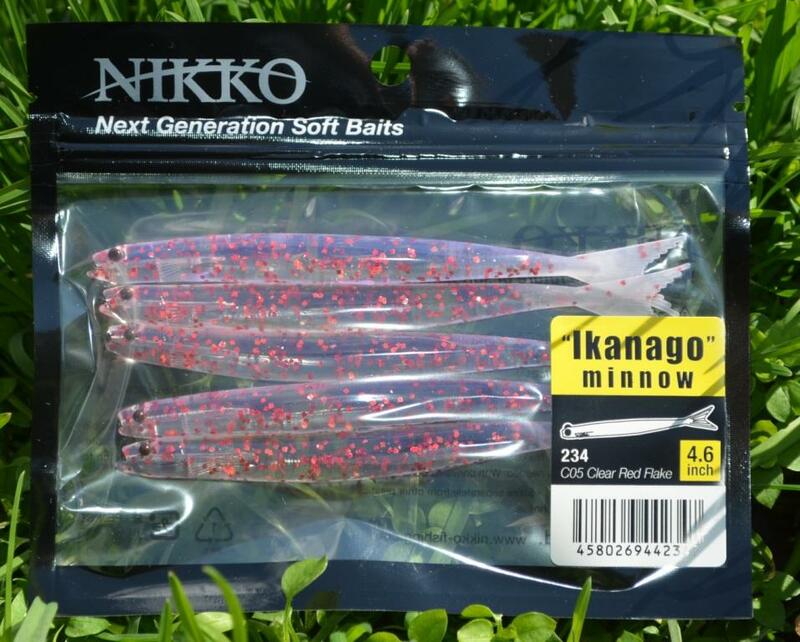 Nikko’s new hellgrammites were the best selling bait for us. 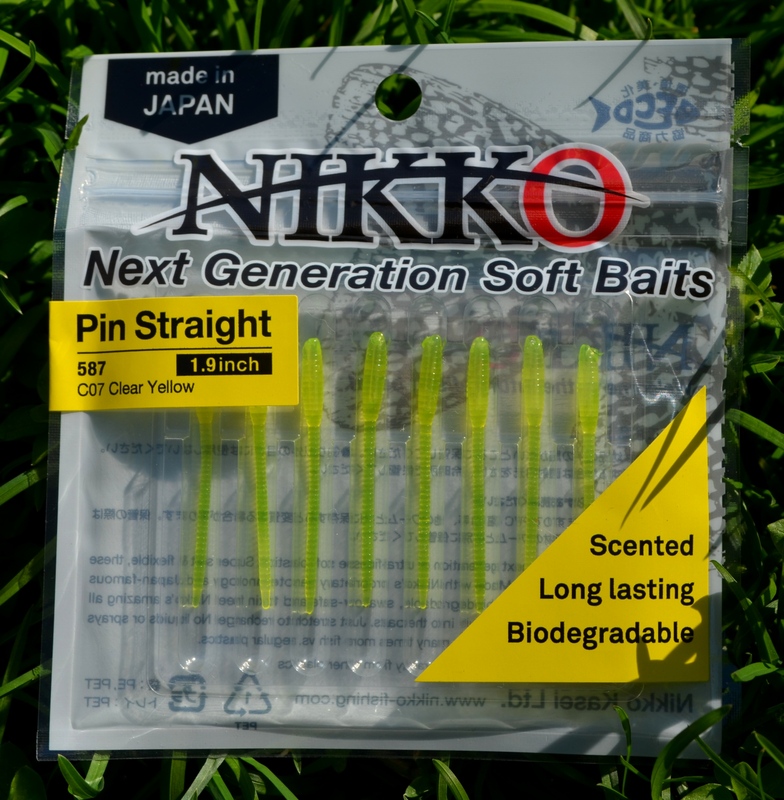 Overall, sales of Nikko baits almost doubled! Thank you to all the new and repeat customers! We look forward to hearing from you again throughout 2018! Visit Nikko’s booth at the Richmond Fishing Expo Jan. 19-21! NEW HELLGRAMMITES are in stock!!! All models in stock! Grab some today! 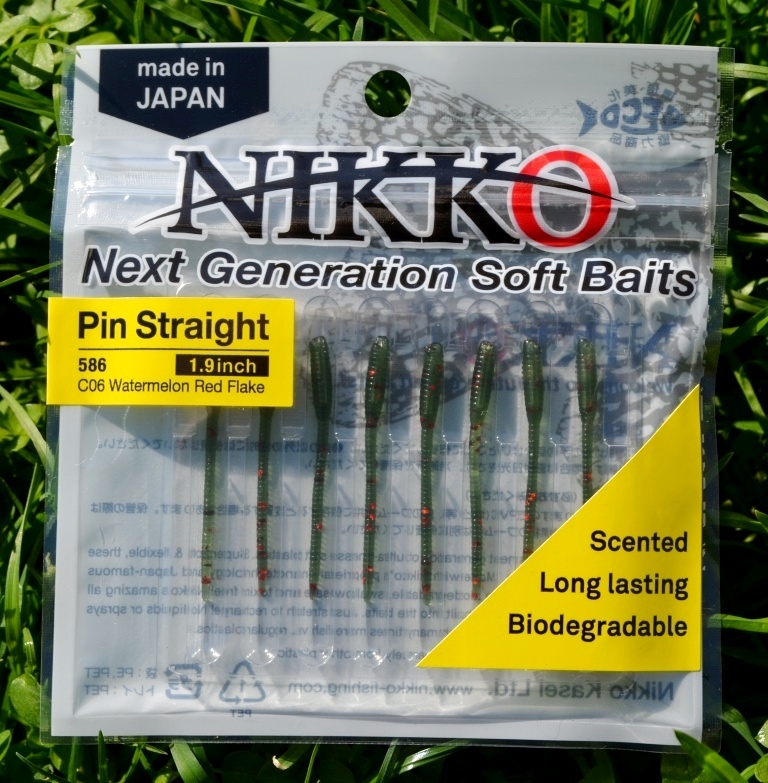 All Nikko products are also available at: https://nikko-fishing.com. 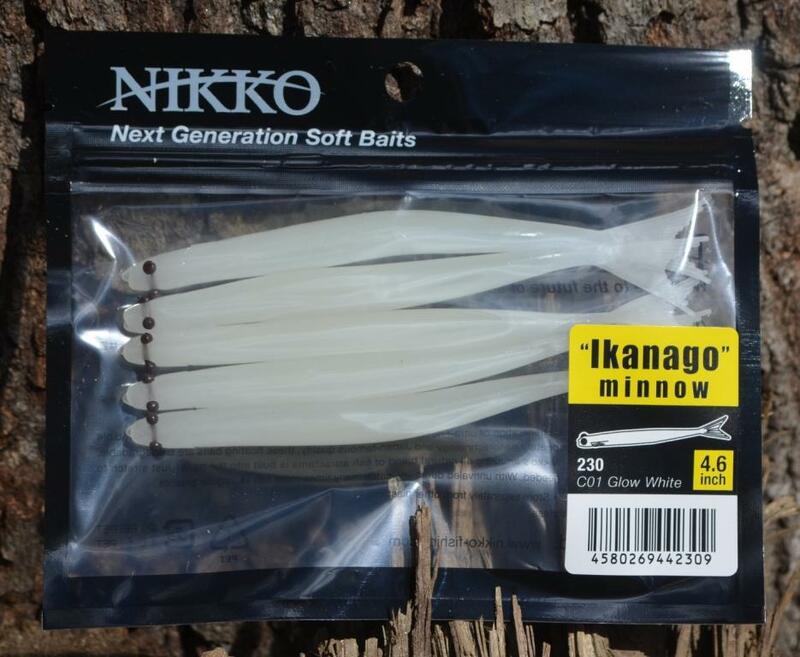 Nikko hellgrammites are also available on ebay.com and a few select retailers. NEW TADPOLES are in stock! Now available in 6 colors. Increased to 5 tadpoles per pack. We are fully stocked for the Richmond Fishing Expo. Come and get the bait the bass just can’t leave alone. 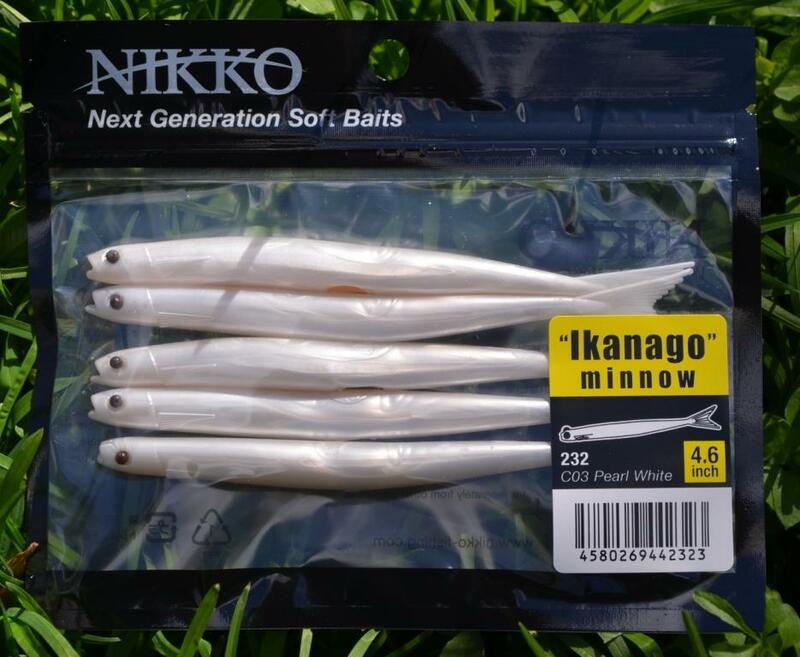 NEW IKANAGO MINNOWS are here!!!! NEW PIN STRAIGHT WORMS are here, too! Older model pin worms are still available on this site. Top selling baits were Nikko’s bass worms, octopus, tadpoles, okiami shrimp, pin straight worms and caddisflies. 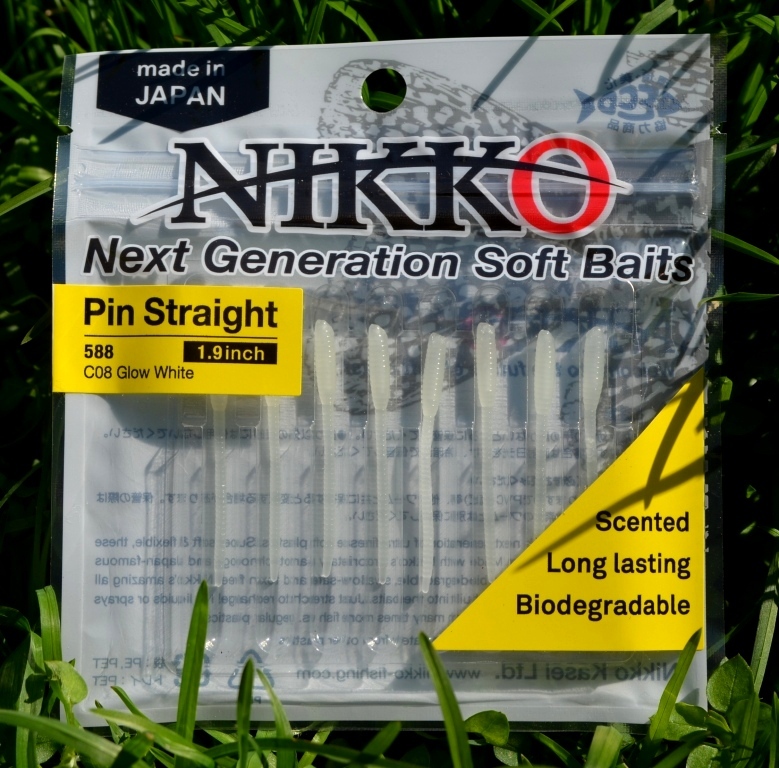 Of the bass worms, Nikko’s innovative club tail model and the versatile paddle tail versions were #1 and #2 amongst the 5 available tail types. 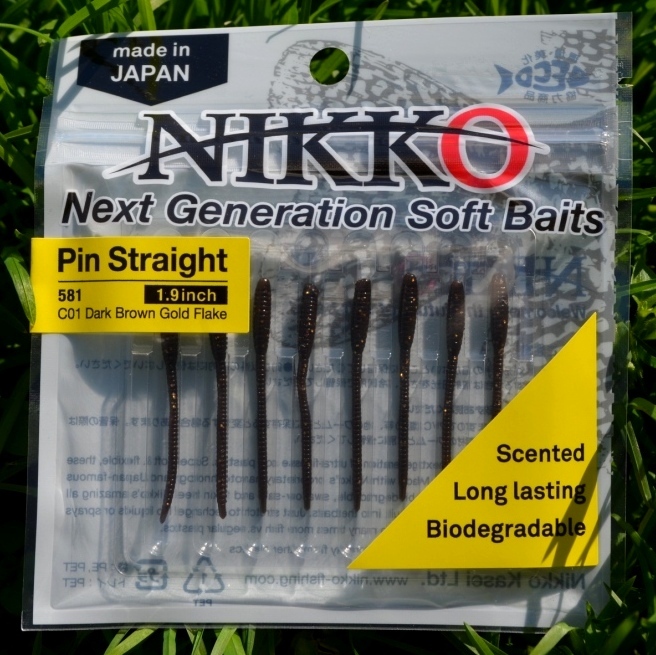 Straight tail worms were popular with wacky rig fishermen and the fish (split) tail worms were popular with fishermen who use Nikko’s worms as chatterbait trailers. Octopus sales were impressive and customers included two pros (one from California, one from the Great Lakes area). 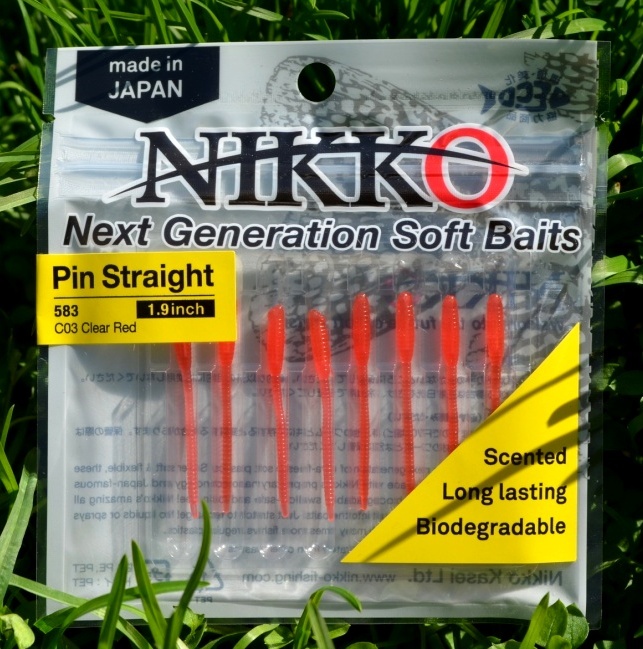 A BIG GIANT “THANK YOU” to all the wonderful customers who stopped by the Nikko booth at the Richmond Fishing Expo. 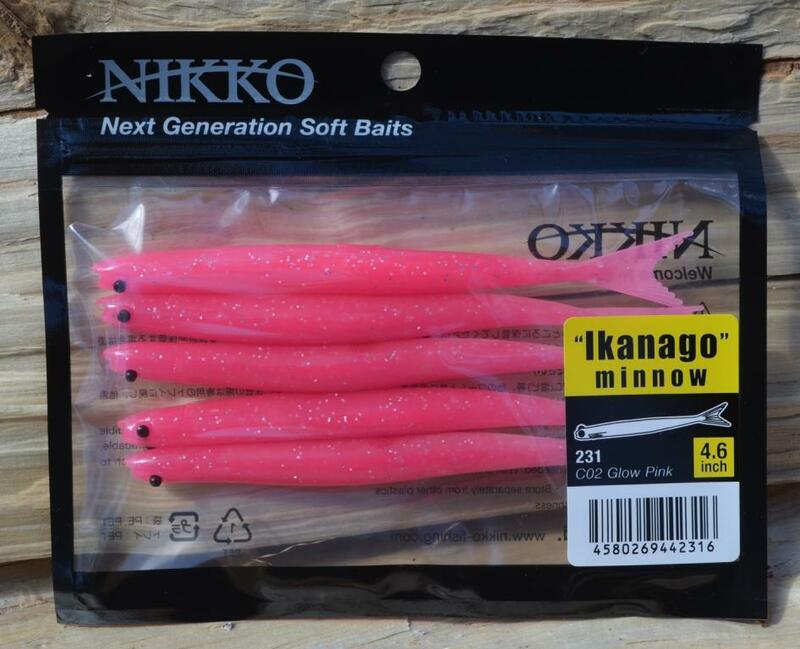 Thank you to everyone who shared their successful fishing stories using Nikko baits with us. We were delighted to learn of 3 citation largemouth bass on the club tail bass worm, as well as the many stories of the glow white 6″ octopus bringing in bass on beds, under docks and on tough fishing days. Please keep the stories coming. Nikko’s baits brought in 5 of the 7 bass during the new products seminars at the bass tank, and the only fish caught on Saturday and Sunday during these time slots. 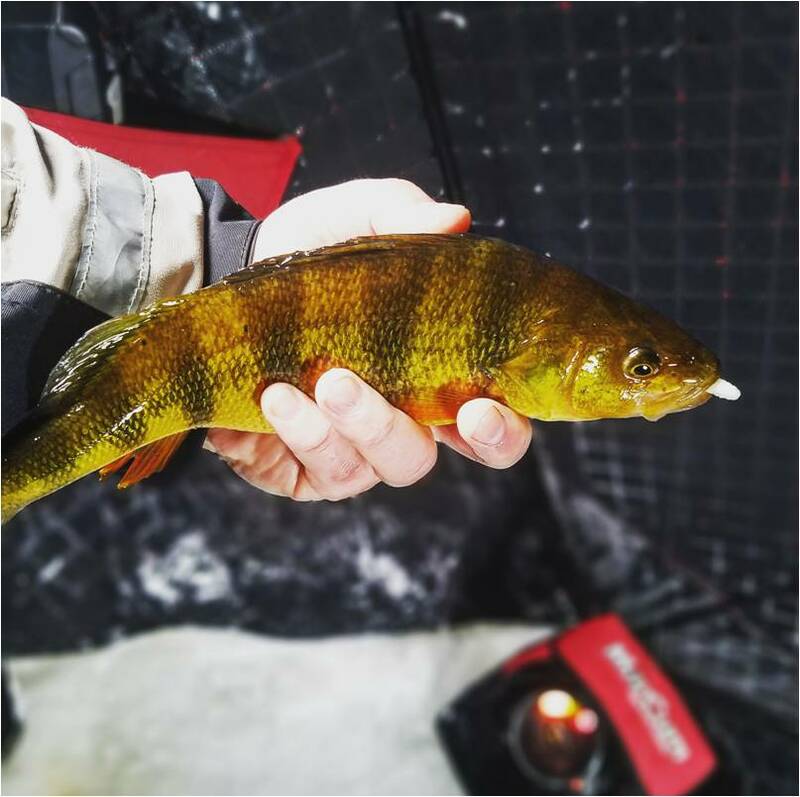 Thanks to Josh in Pennsylvania for this photo of a nice perch caught on a Dappy Waxworm! 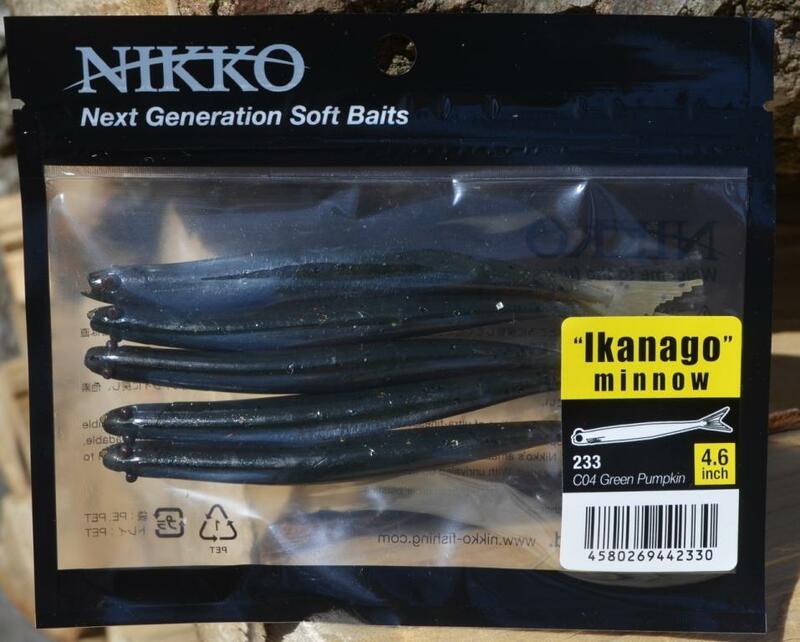 * In-Fisherman did a nice write up on Nikko’s baits. Go to www.in-fisherman.com and look for Nikko under the Midwest Finesse blog by Ned Kehde. * Nikko’s baits will also be highlighted in the 2017 In-Fisherman Panfish Guide in the spring. Keep an eye out for it!!! * Due to recent large orders, we are almost out of pink bass worms. Only the straight tail model remains. For any questions or feedback, please contact Scott Barrett at: 703-940-2071.